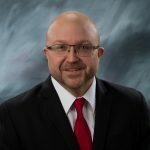 Brian Whitta is a graduate of St. Wendelin High School and attended Collins College, and Hondros College. He has been a school bus driver, dispatcher, and administrator in Northwest Ohio school districts. He has also served as a consultant at the Ohio Department of Education (ODE), where he was named Employee of the Quarter (2007), and Employee of the Year (2008). At ODE, Mr. Whitta managed Chapter 119 transportation disputes between educating agencies, and provided dozens of training sessions on the responsibilities of public school districts for students enrolled in nonpublic and community schools. On various topics, he provided inservice and technical training for school bus drivers, and school business officials throughout the State of Ohio. Mr. Whitta chaired the statewide Ohio Pupil Transportation Transportation Safety Committee, and implemented a quarterly newsletter, Ohio School Transportation Safety News & Views. This publication was recognized by School Transportation News as the Best Online Newsletter in the country in 2006. Mr. Whitta is the President of The Whitta Group, which provides business consulting, marketing, and training services. He provides contracted services to the Board of OAPT for many of its business functions, communication, and marketing needs. He previously served on the board as Northwest Regional Director and Vice President for OAPT. He has been a proud member of OAPT since 2000. He has served as Emcee for the State Road-E-O in Central Ohio, and has chaired the NW Regional Road-E-O in 2011 at Bowling Green Middle School. Mr. Whitta plays bass trombone with the University of Findlay Symphonic Band as well as the Findlay Civic Concert Band. He enjoys wood working, home improvement projects, and is a REALTOR® and notary public at Rooney & Assoc. Real Estate in Findlay. Mr. Whitta lives in Findlay with his wife Katie, and their children.